To pick your actuators just leave a note in the notes section when purchasing your switch panel. You need to choose an actuator for each switch in the panel. For orientation the switches will be numbered left to right, top to bottom. 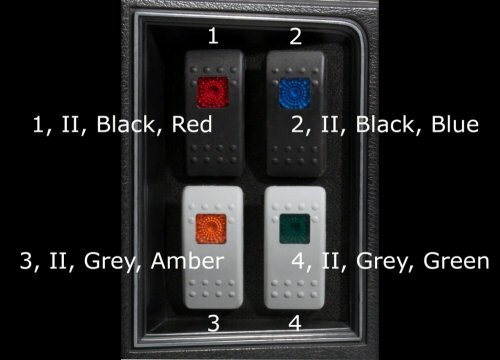 The actuators are noted in this order, switch number, style (II or III), color (black, grey or red) and illumination color (red, green, amber or blue). 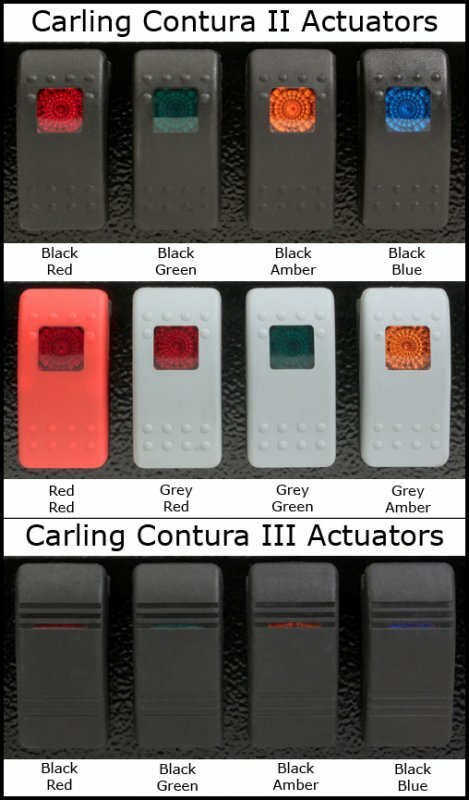 The actuator and lens color combinations shown in the chart above are the only ones available. This sample panel would be noted as follows.